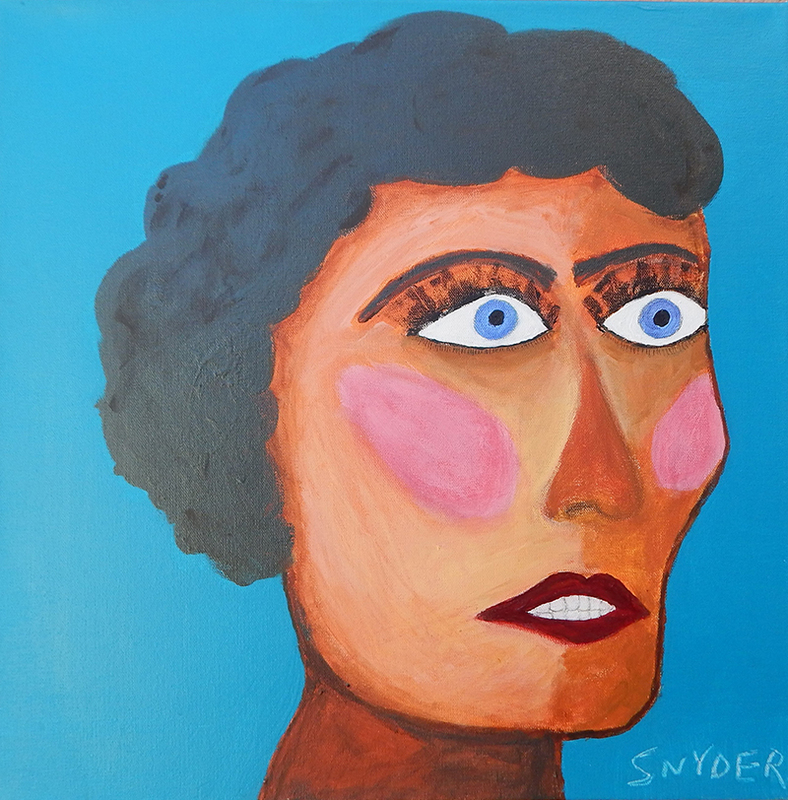 The human face has been the principle subject matter of Santa Fe artist Steven Snyder’s work for the past four years. This show traces the time period that Snyder began transitioning to the female gender in late 2015 through 2017. The work, which is sometimes dark and other times playful, chronicles a period in the artist’s life of incredible and challenging personal change. “I could never have envisioned the scope of what it takes to become a woman. This show is very deep and personal for me,” said Snyder. In many of these painted self-portraits, Snyder uses bright colors and distorts her images. She often blurs the line between male and female identity in her subjects. Most of this work involves the use of mixed-media and many pieces are painted on found wood, which is Snyder’s favorite surface to paint on. In the most recent pieces, Snyder uses her make-up removal pads which she saves each day, to collage into the art.